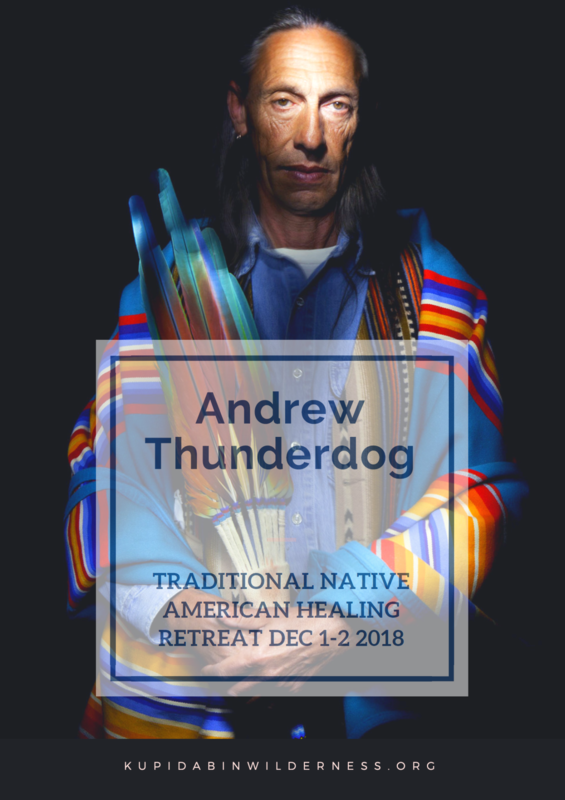 Andrew Thunderdog is returning to America on 17th. December and may not be in Queensland again for several years as he has Retreats being organised for him in Italy and throughout Europe. 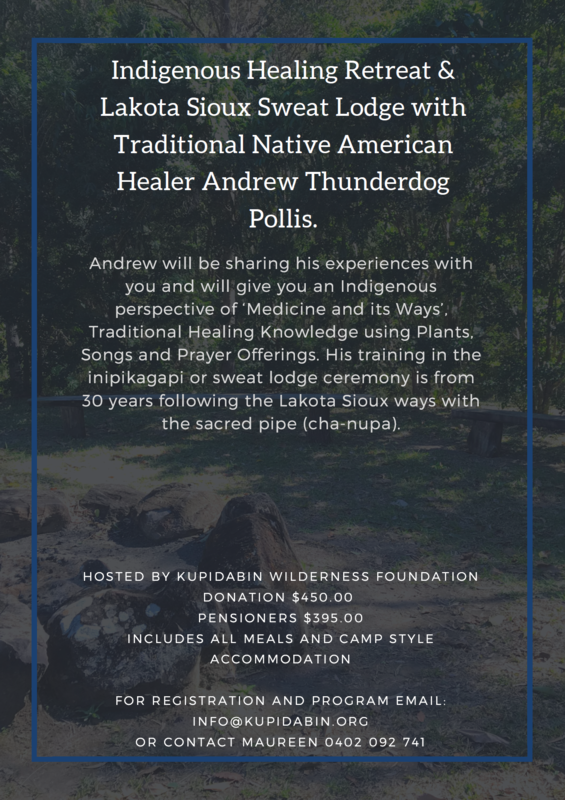 So please pass on the word this is a one time opportunity to experience a Traditional Lakota Sioux Sweat Lodge and learn the Indigenous Perspective of ‘Medicine and its Ways’ and Traditional Healing Knowledge. Saturday 1ST. + Sunday 2ND. December 2018. Kupidabin Wilderness 7 Lyell Court Mt. Samson Qld. A one time opportunity to spend time with our INTERNATIONAL GUEST. Andrew has many life experience stories to tell. He has Mapuche Indian Heritage from Uruguay and Chile and has been actively involved in Traditional Native American ceremonies for 3 decades. Andrew has just completed his 30th year as a Sun Dancer and Pipe Carrier on the Lakota Sioux Reservation at Pine Ridge South Dakota July this year 2018. The weekend Retreat will be on INDIAN TIME with meals scheduled to suit. Saturday will focus on an “Indigenous Perspective of Medicine and its Ways.” What helps us, What heals us, What makes us Thrive and be Strong. Traditional Healing Knowledge using Plants, Songs and Prayer Offerings. 5pm the Lodge Fire will be lit with entry at 7pm - 9pm Shared Supper. Sunday- Group Gathering with Andrew.- Closing ceremony 4.30pm- 5pm. Bookings will be available for one on one Healings on Monday and Tuesday 1 hour.